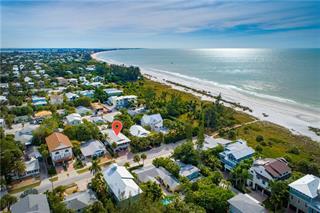 Ask a question about 505 S Bay Blvd, or schedule a tour. Active rental but viewing now available with 24 hours notice. Experience the Island lifestyle! 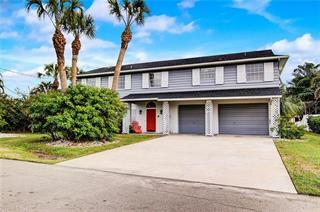 This home is a great opportunity for a primary residence, second/vacation home or rental income property. 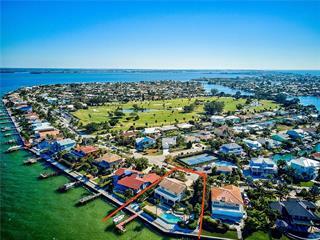 Located on the northern part of An... more.na Maria Island, this 5 bedroom / 5 bath pool home has plenty of room to spread out and is being sold “turn-key” furnished. Custom built in 2014, it boasts 3 stories with elevator, 4 balconies and current construction standards including impact windows and doors. It sits at the end of a canal and has its own dock and davits so bring your boat! A feature that is hard to come by on the Island is ample parking. Not at this house! It has two 1-car garages. One has additional room for golf cart parking or possibly tandem parked 2 smaller cars. There is also drive space that will accommodate at least 4 more cars. 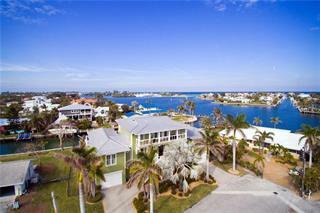 Enjoy the expansive bay views from the front or the sunset views over the canal from the back of the house. This property is zoned for weekly rentals and is allowed up to 12 persons for rental purposes. It currently produces over $100,000 in rental income per year. 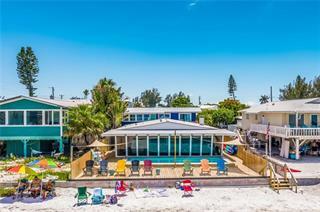 Located just down the street from the Anna Maria City Pier and the restaurants & shops of Pine Avenue as well as the world-famous Gulf beaches of Anna Maria. 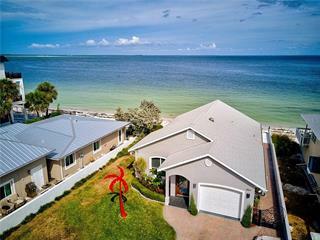 So, grab your flip flops and enjoy living or vacationing on an island known for its old Florida charm and Southern hospitality.